The Old Man of Coniston, or Coniston Old Man, is a fell which lies to the west of Coniston and Coniston Water. 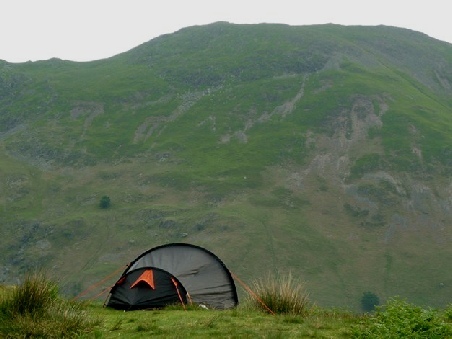 The area around The Old Man of Coniston provides a good range of camping and caravan sites as well as a great selection of attractions and things to do. Check out the key information on the right and then explore the Coniston Old Man camping and caravanning sites listed below. Ascent of Coniston Old Man: The Old Man of Coniston, The fell is normally climbed from Coniston village via Church Beck and the mines (the tourist route). Alternatives include the south ridge and the path to Goat’s Water, both ascending from the Walna Scar Road. The carpark at the top of the metalled section provides a headstart for these routes. The Walna Scar Road can also be reached from Torver, or from Seathwaite in the Duddon Valley, although the latter results in an indirect climb via Dow Crag. Attractions in Coniston: Coniston has a great range of things to do. On the Lake there are various boat trips available, including the Coniston Launch and the Steam Yacht Gondola. There are also plenty of local attractions to visit, including the Ruskin Museum, and Brantwood House. The Grizedale Forest Park is also to the east of Coniston.